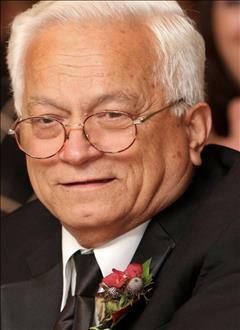 Antonio Lopez, lovingly known as Tony, of Wilmington, Delaware, died peacefully at home on March 25, 2019 at the age of 77. Tony was born in Naranjito, Puerto Rico on August 11, 1941. He graduated high school and migrated to the United States when he was a teenager. After establishing himself, he worked at Chrysler. He met the love of his life, Magaly. They were married 39 years and he loved her until her last day. Tony had four children; Robert Lopez, Miguel Garcia, Maggie White, and Angelica Ramirez. He was a great father and provider for his family. He adored his grandchildren; Chena Lopez, Robert Lopez Jr., Alina Lopez, Amanda Santiago, Vyronniccah Sanchez, Gabriella White, Isabella Ramirez, and Aj Ramirez. Tony is proceeded in death by his parents, Providencia and Francisco Lopez, and his sister, Arcadia Lopez. His siblings are: Juanita, Angel, Carmen, Victor, Martina, and Dominga. Tony was fortunate enough to spend time with his siblings before his final moments. A true testament of the love they shared. Tony was a devoted son, sibling, father, grandfather, and friend. He helped countless families establish themselves when they relocated to the United States. As the eldest living member of the Lopez family, he looked after everyone. He is survived by great grandchildren and a host of nieces and nephews. Tony enjoyed bartending, spending time with his family, and playing dominoes. He enjoyed traveling to Puerto Rico to spend time with his family and enjoyed vacationing with his children. He was a spiritual man and was a lifelong member of St. Paul’s Church. He will be deeply missed by his friends, family, and all who knew him. We would like to thank VITAS and Seasons Hospice for the care and support they provided. We would like to thank our church community for their prayer and spiritual guidance. A viewing and funeral will be held at St. Paul’s Church on Thursday, March 28, 2019. Burial to follow at Silverbrook Cemetery.